Ms. Carla Morales is a Family Nurse Practitioner. Ms. Morales earned her Bachelor of Science in Psychobiology from the University of California Los Angeles (UCLA). She went on to California Baptist University to pursue and achieve her Masters of Science in Nursing. Morales came to CVMG after working as a Registered Nurse at Whittier Hospital in Telemetry. 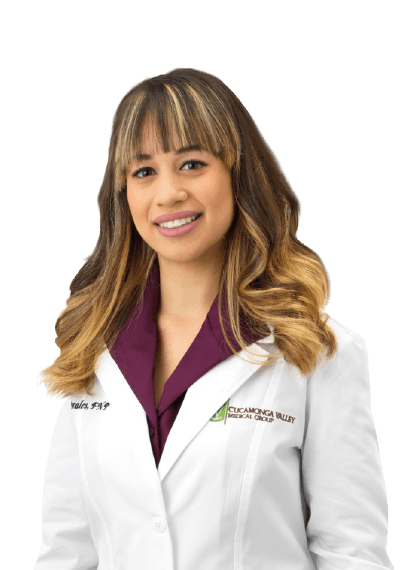 When Ms. Morales isn’t serving her patients at CVMG, she is on the move. She enjoys traveling and hiking with her dogs, as well as a cup of coffee and some Disneyland magic.